If you’re looking for something easy to make for lunch today – and you like tuna – then why not try this avocado & tuna melt! The avocado is a substitute for mayo in this particular sandwich for something a bit different and slightly healthier. It’s a really simple recipe, you can make it in about 5 minutes, have it with a bit of salad for lunch or even for a quick snack! This recipe makes two toasties. 1. In a medium bowl, mix tuna, avocado, salt and pepper until completely combined. 2. 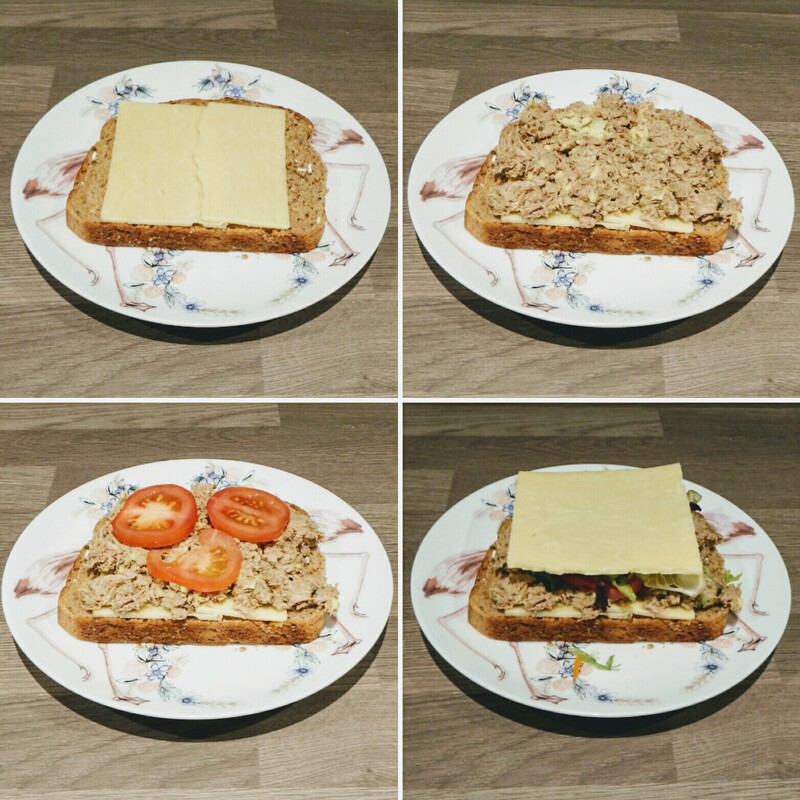 On one slice of bread place the cheese, tuna, tomatoes, lettuce and then another slice of cheese. Top with another slice of bread and spread butter on the outside slices. Repeat with the other two slices of bread and mixture. 3. Add the sandwiches (butter side down) to a skillet over medium heat and cook for 3-4 minutes or until the bread is lightly browned. Flip the sandwich and cook for a further 2-3 minutes. 4. Remove from the skillet and leave for 2-3 minutes before slicing and serving.